This past week Bill Ackman’s Pershing Square revealed at the Grant’s Fall Conference a 1.1% stake in Starbucks Corp. (SBUX). However, the hedge fund’s performance has been less than inspiring in recent years with big flops along the way. Taking a closer look at the fund’s performance since 2006 one may have been better off investing in the S&P 500 total return index which has outperformed the billionaire investor. Bill Ackman is known for taking large concentrated bets in his portfolio. Currently, WhaleWisdom values his portfolio at roughly $5.8 billion as of June 30. In total the portfolio only holds eight stocks, not including Starbucks. With its largest position being Automatic Data Processing Inc. (ADP) at a total value of $3 billion which is a massive bet at nearly 50% of the portfolio’s asset under management. However, that doesn’t tell the whole tale of the fund’s rise and fall. In the fourth quarter of 2005 the fund’s portfolio was valued at $365 million and by the fourth quarter of 2014, it had grown into a $16 billion behemoth. It all changed quickly when investments such as Valeant – now Bausch Health Companies Inc. (BHC), went sour reducing the fund to its current value. Since the second quarter of 2006 Pershing Square has had a total return of approximately 182% compared to the S&P 500 total return index of 186%. What may be even worse, over the past three years Pershing has an Alpha of -1.35, which is a measure of the excess value generated by the portfolio against a benchmark. Additionally, the fund has had an annualized performance over the past three years of -2.32%. Given the recent string of bad luck, it doesn’t make Ackman’s investment in Starbucks a slam dunk at all. Starbucks has struggled significantly over the last few years as same-store comparables in North America have slowed considerably. As a result, analysts estimate that revenue growth for the company will slow from 10% in fiscal 2018 to just 6% in fiscal 2019. 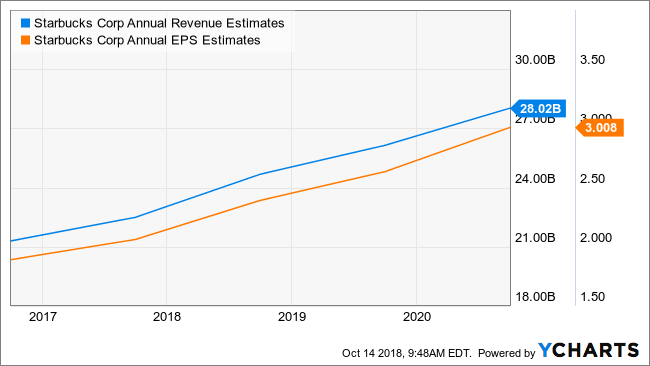 Earnings growth is expected to slow from 16% in 2018 to only 10% in 2019. Pershing is betting that growth for the company will accelerate because at its current valuation the shares are trading at 19 times fiscal 2020 earnings estimates of $3.00 per share. However, even in the year, 2020 analysts estimate growth of 14% which gives the stock a growth adjusted PEG ratio of 1.35 making the stock fairly valued at best. Betting that the shares of Starbucks will rise because of Pershing’s investment make it a risky gamble. This entry was posted on Monday, October 15th, 2018 at 9:51 am and is filed under 13F, Hedge Fund News. You can follow any responses to this entry through the RSS 2.0 feed. Both comments and pings are currently closed.